Since entering the international stage with his portrayal of a downtrodden artist in "Titanic," Leonardo DiCaprio has helmed the majority of the films he's appeared in. From the con artist in "Catch Me If You Can" to the revenge-seeking explorer in "The Revenant," DiCaprio manages time and time again to artfully portray iconic characters with cross-generational appeal. We know his roles, we may even follow the tabloids' latest rumors, but PrettyFamous wanted to identify 25 facts about the highly awarded actor. Though, as of this writing, still sans Oscar. We put them in numerical order from smallest to largest, and will count up the facts and figures that define the leading man we all love. You probably know Leonardo DiCaprio for his big blockbuster roles, but his first film went straight to video. "Critters 3" is the story of furry aliens who will eat anything in their paths, including whatever resides in a Los Angeles apartment. Spoiler alert: That includes DiCaprio. Leonardo Wilhelm DiCaprio is his full, legal name. Commonly referred to by his nickname Leo, he has a lesser-known moniker as well according to IMDb: Lenny D.
At the time of its release, "Titanic" — the film that put DiCaprio on the international stage — boasted the highest gross amount. Nearly 20 years later, "Titanic" still ranks among the top three behind "Star Wars: The Force Awakens" and "Avatar." Like many other actors, directors and Hollywood creatives, DiCaprio has collaborated with some producers and directors multiple times. DiCaprio has worked with producer Jennifer Davisson Killon and director Martin Scorsese on six projects apiece. DiCaprio's first acting audition occurred in 1981 when he was six years old. He was first signed by an agent eight years later at the age of 14. Camera operators don't need to use any tricks to elevate DiCaprio's stature. He stands at 6 feet tall. DiCaprio, despite being a bonafide Hollywood heartthrob, has never been married. Tabloids have followed his personal life for years, with different women mentioned and omitted depending on the source. Looking at just studio-confirmed relationships, DiCaprio has been involved romantically with eight women over the years. According to his website, DiCaprio has received 206 awards and nominations for his films. He has received the most nominations to date from the MTV Movie Awards, totaling 17 over the years. Awarded films at that show ranged from "Romeo + Juliet" to "The Wolf of Wall Street," "Titanic," "The Aviator" and "Gangs of New York." Given that DiCaprio has starred in over 30 films to date, the percentage for which he's garnered acclaim is commendable. This visualization focuses on awards DiCaprio was nominated for and received himself, rather than all the awards the film was nominated for. His more recent films "The Wolf of Wall Street" and "The Revenant" are among his most celebrated. If fans feel like DiCaprio gets snubbed a lot for awards, that might be a symptom of his high nomination count. DiCaprio wins roughly 25 percent of the awards he's nominated for. Note: Given the difference in the number of awards garnered in our database versus LeonardoDiCaprio.com, it is likely that we do not track all the awards for which DiCaprio has been nominated. DiCaprio is an advocate of environmental preservation. His foundation works on ocean conservation, biodiversity, wild lands preservation and climate change mitigation. To this end, it's unsurprising that he's retweeted the Natural Resources Defense Council, the World Wildlife Fund, Oceana, Wild Aid the most. In line with his activism, DiCaprio mentions many of the same environmental protection groups and agencies on Twitter. He's mentioned the National Resources Defense Council most often in his tweets. That's the number of total film and televisions credits under DiCaprio's belt so far. His film roles outpace his television gigs 11 to 1. Although he doesn't appear to be aging like the rest of us, DiCaprio is 41 years old as of this writing. He was born on Nov. 11, 1974. "The Aviator" is DiCaprio's most critically acclaimed film in terms of total nominations, for which it received 42. "Titanic" won the most awards, however, with 16 wins. When casting directors select DiCaprio, it's usually for the starring role. DiCaprio has held the lead role in 72 percent of the films he's appeared in. "Catch Me If You Can" received the highest Rotten Tomatoes score of DiCaprio's films, at 96 percent. "The Beach" (2000) is his lowest-rated film to date on the site, sitting at 19 percent. Although DiCaprio is American born, his fame is incredibly widespread. More surprising is the fact that he has more Facebook fans per capita abroad than domestically. Fans in the country of Georgia love DiCaprio, with his Facebook likes totaling 44,580 per 1 million Facebook users. DiCaprio's environmental initiatives expand beyond his Twitter activity. According to IMDb, DiCaprio donated $1 million to both earthquake relief efforts and the Wildlife Conservation Society in 2010. Just as his Twitter account speaks to his passions and activism, so does his Facebook page. Many of his posts revolve around conservation, international events and environmental dangers. DiCaprio is slightly more popular on Twitter than on Facebook, with 300,000 more followers on the microblogging site. 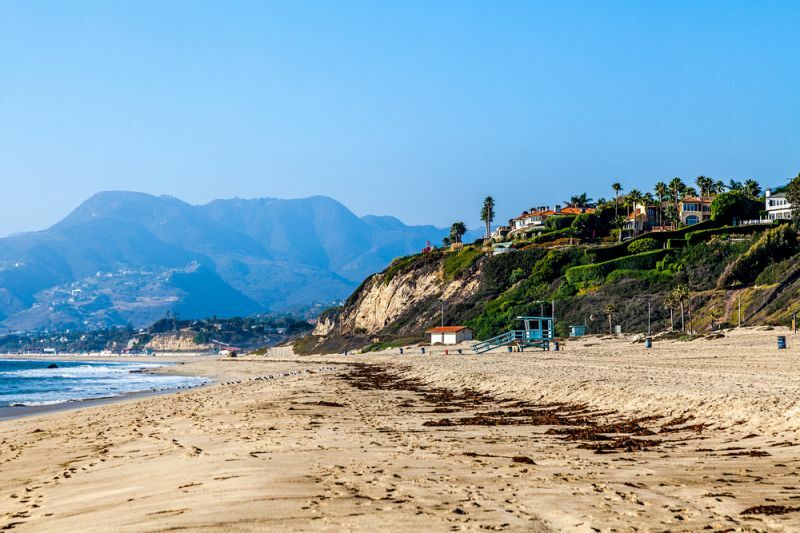 According to real estate site Zillow, DiCaprio's Malibu beach home sold for $17.35 million in December 2013. Before listing the home for sale, however, DiCaprio sought to rent the home for $75,000 per month, asking even more during the summer at $115,000 a month. This figure isn't DiCaprio's net worth. It's his paycheck in 2015 alone. At $29 million in earnings, DiCaprio ranked No. 89 on Forbes' list of the World's Highest-Paid Celebrities that year. This figure, approximately eight times his 2015 earnings, is DiCaprio's estimated net worth according to The Richest. The site indicates that, while $29 million is an impressive salary, DiCaprio earned more still in 2014 when his earnings totaled $39 million. This is the total gross of 26 of DiCaprio's films when adjusted for inflation. That sum averages out to $119 million per film on average. Six children and two adults have been found shot to death, execution style, inside a Harris County, Texas home after a twelve hour standoff that ended after hostage negotiators talked the suspect into surrendering. The Hate You Give, from Fox 2000 Pictures and Twentieth Century Fox, presents a story plaguing cities across America, an unarmed black male is shot and killed by a white cop as his best friend watches him die. President Donald Trump suffered a defeat as the Immigration Ban was upheld and blasted his disapproval on Twitter while promising to be better as he voiced his frustration over his administrations stumbles and missteps. Royal wedding expert and British bridal designer, Caroline Castigliano, at Windsor Castle covering the nuptials of Prince Harry, the youngest son of Diana, Princess of Wales, and HRH Prince Charles, to Megan Markle provides observation on dress and tradition.